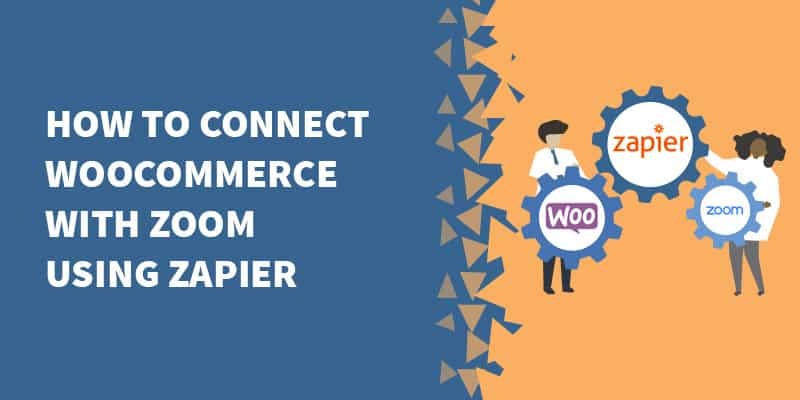 In this guide you’ll learn how to sell your Zoom webinars on your site using the WooCommerce WordPress shopping cart plugin and a simple Zapier integration. I’m going to assume you already have WooCommerce configured on a basic level (in particular, that you have your payment processor set up). Now you’ll want to add a basic product in WooCommerce (go to Products => Add new). 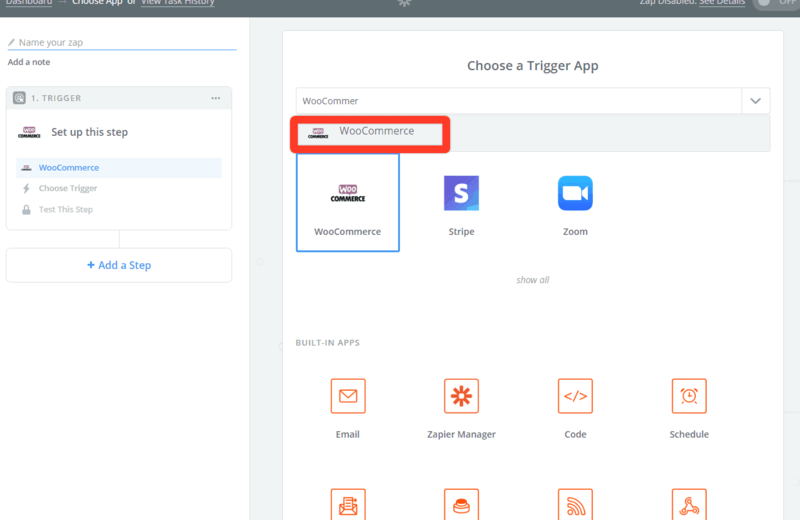 Note: If you are only going to sell one Webinar through WooCommerce, then you can skip this step and go directly to “Setting up Zap Trigger and Action” section. First go to your Zoom and navigate to My Webinars tab and Copy Webinar ID that you are going to sell with this product. Go to your WooCommerce product and under Product data section click on Attributes tab. In the Value field, paste the Webinar ID we copied from Zoom and remove all hyphens between the numbers (eg. 123456789). Then click “Save attributes” button. Also make sure you check “Virtual” checkbox as shown in the screenshot above and Update/Publish your product. *If you are going to sell only one Webinar through WooCommerce, then you can skip this step. For Zapier to be able to tell which Webinar a customer is buying, we need to send it a custom parameter with the Webinar ID. So let’s go and add this function to your theme’s functions.php file. Better yet, add it to your child theme so you don’t lose the changes when you update your theme. Perhaps the easiest option would be to install the “My Custom Functions” plugin. This is the safest way to add functions to your theme without losing changes during updates, and this is what I’ll be using in this guide. Note: I strongly discourage you from adding this directly to your functions.php file. After you have successfully installed the “My Custom Functions” plugin, navigate to Settings => PHP Inserter. Switch the toggle to “ON” and click Save changes. Search for WooCommerce and select it. Chose a Trigger you need (in this guide I’ll be using “New Order” trigger for one-time payment product). Copy the URL that is given in this step. 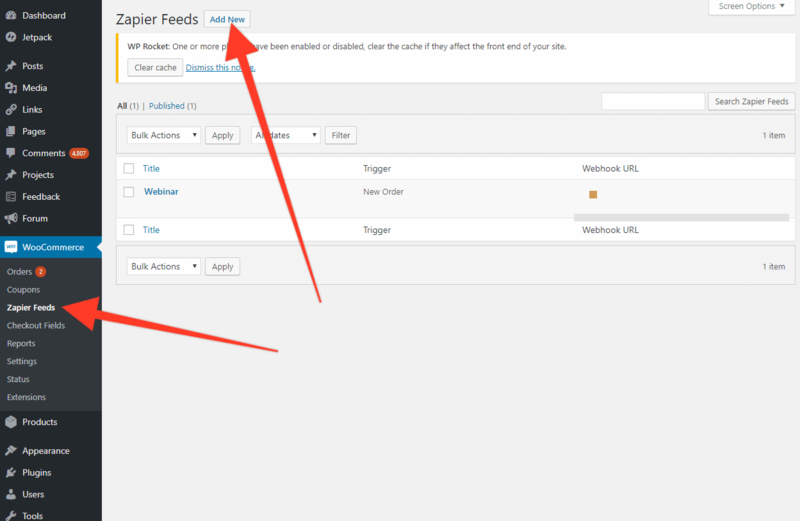 Go to your WordPress Dashboard and open WooCommerce => Zapier Feeds. 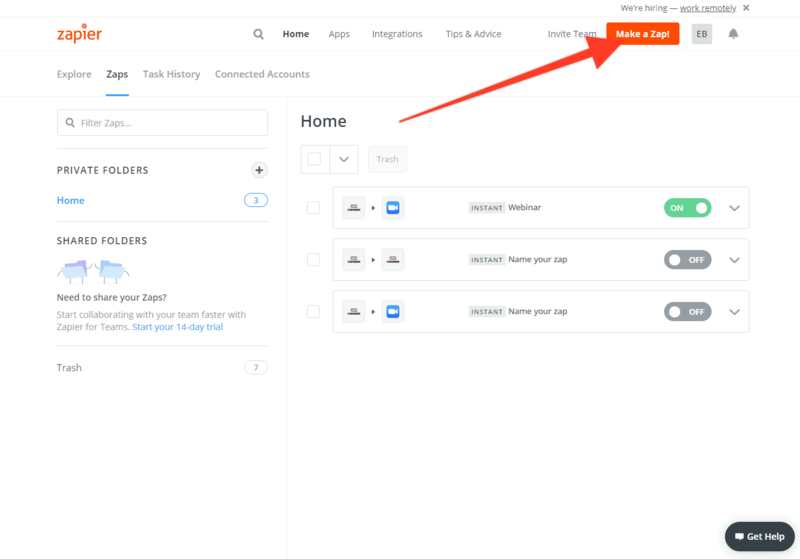 Select the same Trigger you selected in Zapier. 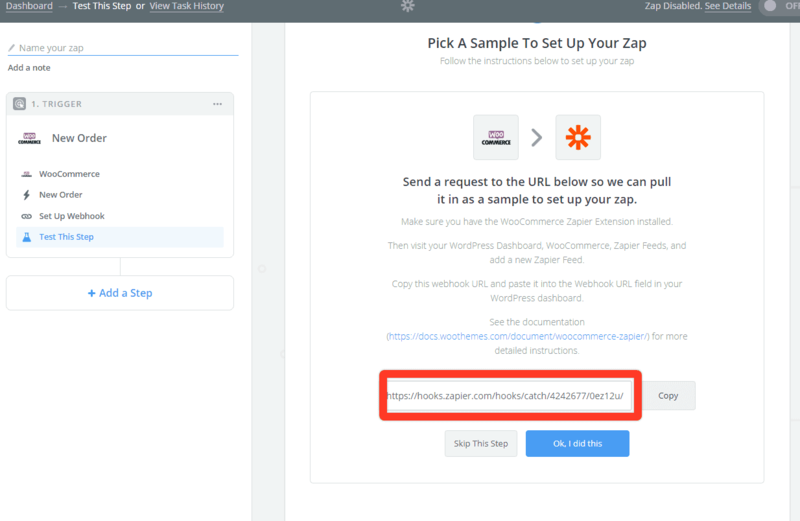 Paste the URL we copied from the step above in the Webhook URL field. Type something that describes your Zap (eg. Webinar) in Title. Go and make a test purchase of your Webinar. 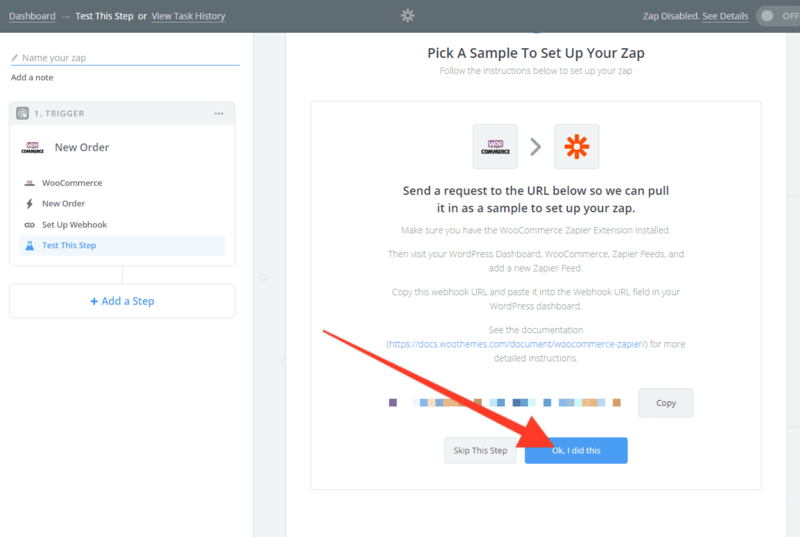 After you successfully purchased your webinar, go back to your Zap and click “Ok, I did this” button. In this step, select your order, but make sure it is from the test purchase you just made. If you can’t find your order there, then go back and make a test purchase again. Go back to Zap and click “Get More Samples”. Search for Zoom in Action App and select it. Choose Action you need (in this guide I’ll be using “Create Registrant” action). Click “Connect an Account” button and connect your Zoom account. 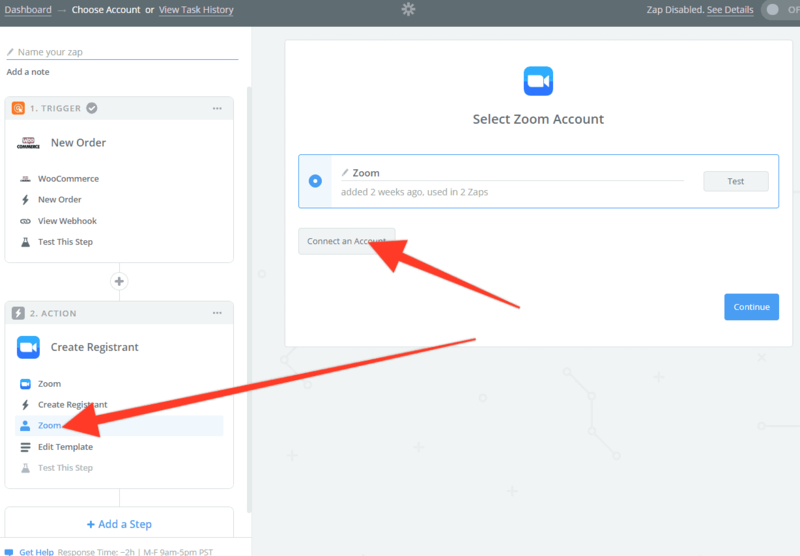 If you don’t know how to connect your Zoom account, click here. if you are going to sell only one Webinar, then you can just select that webinar for this field and you can skip the Upcoming Webinar step. But if you are selling more than one, then select “Use a Custom Value (advanced)” option. In this guide I’ll be using Custom Value. Select Meta Data Webinar ID. Select the appropriate values for the other fields. Eg. for First name select “Billing First Name” etc. Choose whether to send confirmation email or not, it’s up to you. After you have set all fields you can click Continue. Then on the test step, click Send Test To Zoom. If your test was successful you can click Finish, if there are errors review the steps above and make sure you have set up everything correctly. Now you should be able to sell your Webinars using these WooCommerce products. This integration makes an automated and smooth process for your customers. That means, webinar registration is done automatically in the background for them. 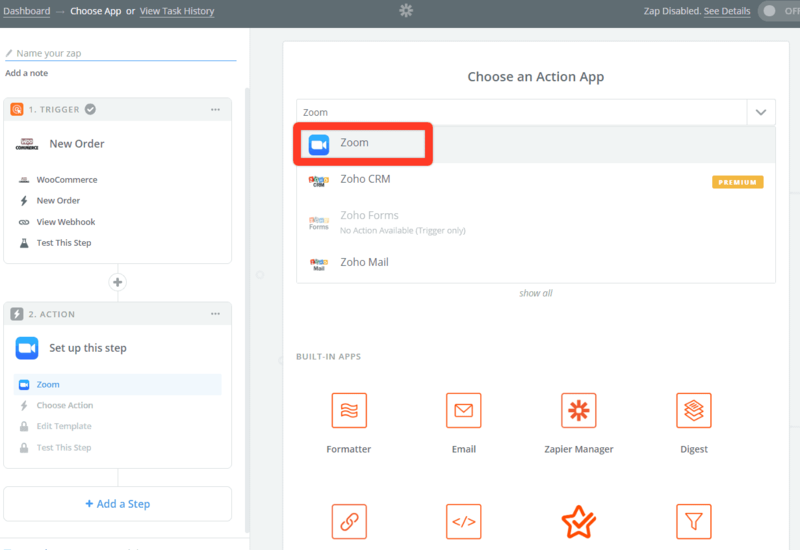 So after they purchase your Webinar product on your WordPress website, they will get an email you set up on in your Zoom Webinar Settings with the link to the Webinar and all other details. Login to your Zoom account and then go to this link. Scroll down to bottom and find “key” and “Secret” numbers. A new window will open, paste “key” in API Key field and paste “Secret” in API Secret field.